The number of site characterization instruments on the Armazones 2K site in Chile has grown significantly over the past few months as the start of construction draws closer. 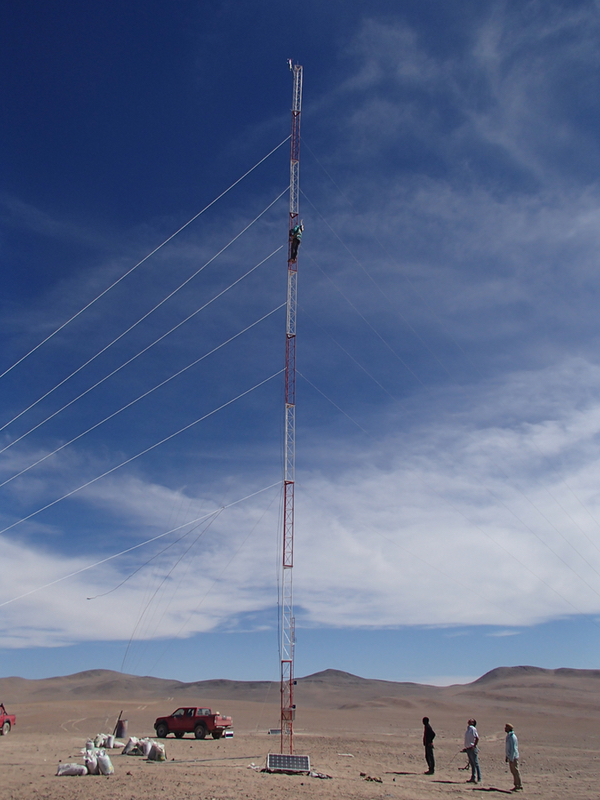 A 10-metre tower, the first tower installed on site in early 2014, hosts a weather station that measures temperature, humidity, pressure and wind characteristics. It also includes a Wi-Fi router to transmit data to Paranal via a microwave link. Thirty metres north of the first tower, a 30-metre tower (pictured to the left) includes three three-dimensional anemometers installed at different heights to measure the wind speed and profile. The goal of these wind velocity measurements is to estimate the full wind structure in order to be able to more precisely determine observing conditions. Even a modest increase in the observation time could result in significant rewards. The “ASC complex” is located 30 metres east of the 10-metre tower and hosts an all-sky camera (ASC), a seismometer and a Sun and Moon photometer. New ASCs were installed at the proposed CTA sites on La Palma and Armazones 2K in late 2015. These new ASCs are upgrades from the previous generation for appraising the sites and are equipped with special filters to provide fast and raw atmospheric characterization and standard cloud analysis. And as Chile is known to be seismically active, a small seismometer will estimate the number and magnitude of small, frequent earthquakes. 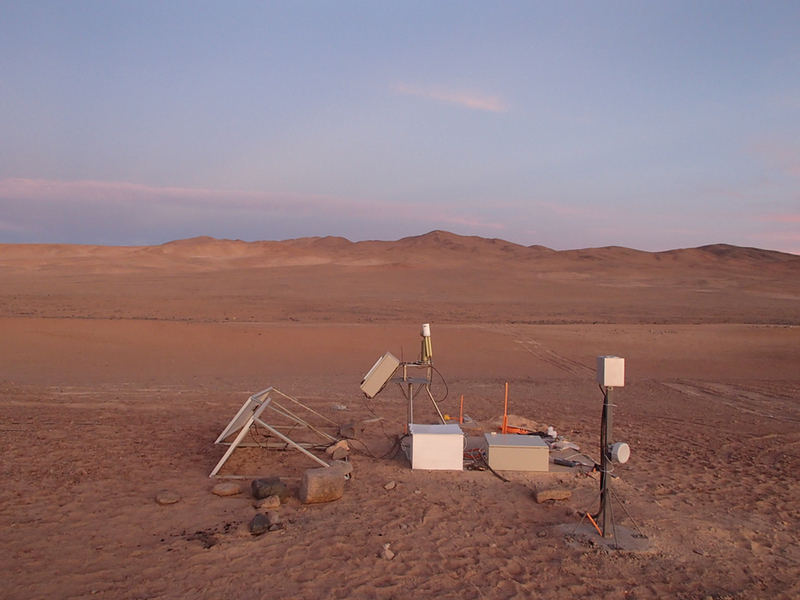 The photometer will measure the atmosphere absorption and scattering of light from the Sun and Moon at the site to improve the quality of simulations.